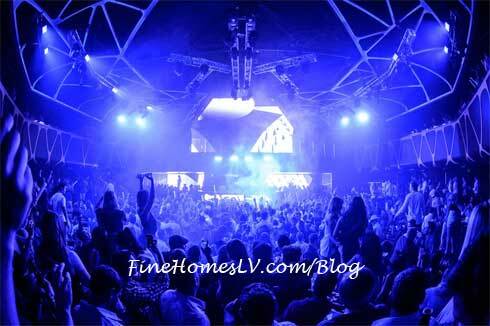 The newest and biggest nightclub in Sin City, Hakkasan Las Vegas at MGM Grand was the it place to be as thousands of clubgoers lined up at the doors to see Tiësto perform for the first time and debut ‘Club Life’ at the nightlife mecca on Friday, May 3, 2013. The highly anticipated Hakkasan Restaurant opened its doors for the first time as A-List celebrities. Some of the celebrities who flocked to haute Cantonese hot spot get a taste of the award-winning cuisine included Hilary Duff and husband former Canadian professional hockey player Mike Comrie, Haylie Duff, Entourage star Adrian Grenier, actor/comedian Aziz Ansari and Tiësto. First to hit the decks in the main room of the nightclub was the gorgeous DJ Bambi who immediately had the festivities in full-effect and had guests on their feet. Stunning atmosphere models and exquisite dancers donning intricate, eye-catching costumes performed their show-stopping choreographed routines to Bambi’s hard-hitting tracks. 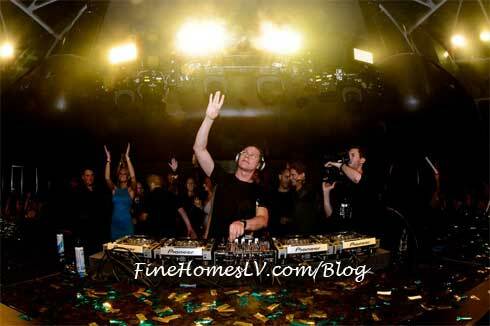 The all-encompassing destination continued its third weekend of opening festivities as GRAMMY Award-nominated electronic music icon Tiësto launched his ‘Club Life’ residency and spun his beat pounding music to a packed house. 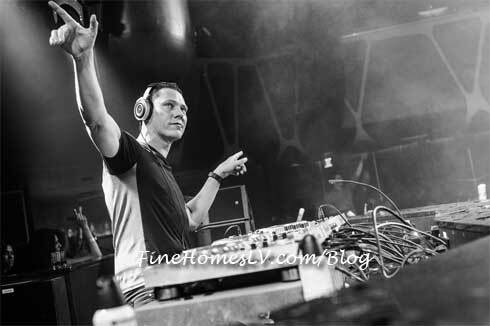 Arriving to nightlife destination at 1 a.m., the electronic music sensation took his place in the DJ booth and was welcomed to his new home by thousands of his shouting fans who have been waiting patiently for him to return to the stage since his last concert in LA two months ago. Earlier in the evening, the talented artist was greeted by CEO of Angel Management Group Neil Moffitt as he presented him with a commemorative-framed gold disc by to celebrate the first-ever performance of his exclusive ‘Club Life’ residency at Hakkasan Las Vegas. Meanwhile in Hakkasan Las Vegas’ 10,000-square-foot Ling Ling Club, celebrated New York native DJ and producer Jesse Marco was found behind the turntables spinning for a packed room as choreographed atmosphere dancers dressed in stunning Samurai-inspired outfits enhanced the mood providing guests with non-stop entertainment. Spotted partying in Ling Ling Club was Hilary Duff and her husband Mike Comrie. Sister Haylie Duff was also seen dancing and hanging out as good friend and DJ Jesse Marco spun a heart-pumping set. 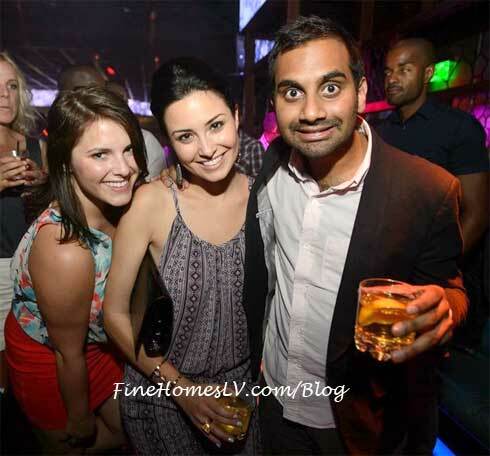 At a table on the dance floor was funny man Aziz Ansari.